The Lightner Museum located in St. Augustine is one place not to miss if you’re visiting the area. 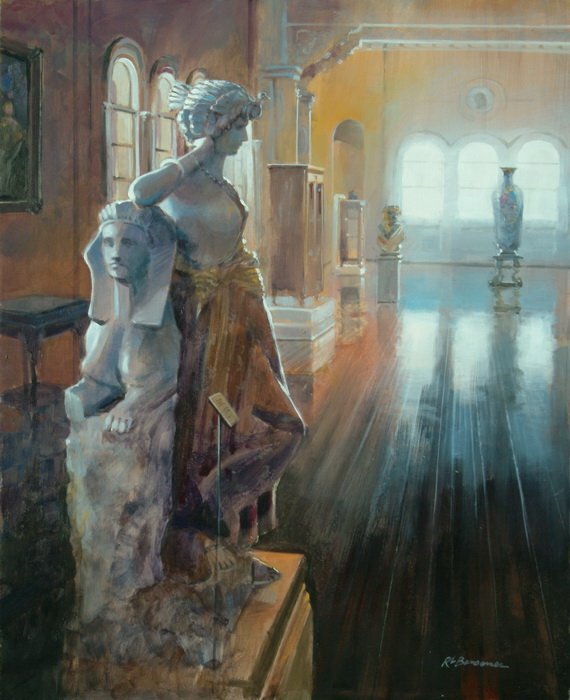 This painting was done on one of the upper floors of a fabulous statue of marble and bronze. The morning light was pouring in on the hardwood floors casting all sort of warm and cool reflective light in the room itself. I seldom paint interior scenes but really enjoyed painting this one. We also filmed one of our “Painting and Travel” PBS television programs here at the museum.